Online retailer Zavvi has warned customers to whom it accidentally sent a video games console that they could face legal action if they have not arranged the machines' return. 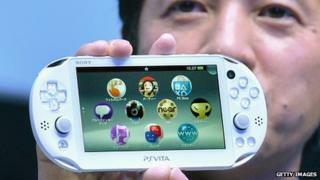 The UK firm mistakenly delivered PlayStation Vitas to shoppers who had ordered a £20 game released last month. It subsequently warned those who did not voluntarily return them that it might take "legal remedies". One expert warned the move could damage its brand. News of the issue was first covered by the games blog Dark Zero. It published a "final notice" letter sent to one Zavvi customer who had originally ordered a copy of the platform game Tearaway. "As you are aware, as a result of a technical error, you were not sent Tearaway (priced at approximately £19.99) and instead were sent a PS Vita (priced at approximately £169.99). This was an error on our part and we apologise for any inconvenience this has caused you," it said. "We have tried to contact you on numerous occasions to give you the opportunity to return this item to us (at our cost and no inconvenience to yourself), but to date you have refused to do so. "This is our final notice to politely remind you that you did not order, or pay for, a PS Vita and if you fail to contact us by 5pm (UK time) on 10 December 2013 to arrange a convenient time for the PS Vita to be collected we reserve the right to enforce any and/or all legal remedies to us." A spokeswoman for The Hut Group - which owns Zavvi - confirmed that the letter was genuine, but declined to say how many had been sent out or to comment further. The BBC understands that the majority of customers contacted by the firm have complied with its request. The Hut Group based its threat of legal action on its understanding of the UK's distance selling regulations. Although they state that "unsolicited goods" can be treated as unconditional gifts that do not need to be returned, and that it is illegal for the sender to threaten legal action - the legislation they are based on adds the qualification that this only applies if there was no "prior request made by or on behalf of the recipient". In the case of orders that were made but mixed up, the Citizens Advice Bureau suggests consumers should indeed return the items. "If goods are sent to you by mistake, you need to contact whoever sent them to let them know and ask them to collect the goods," it says on its website. "You might get goods sent by mistake if they are meant for someone else or you've been sent duplicate or extra items on top of what you ordered." Comments left by gamers on Eurogamer's discussion forum indicated that many sympathised with Zavvi's request that the consoles be returned. "Not sending them back is just pure thievery and nothing else," wrote one nicknamed megatronx. However, several objected to the way the firm had handled the affair. "I don't deny that they are within reason to get back those Vitas, as they were clearly sent out in error. However, I've described them as scumbags on the basis of the using the 'law' as a justification for the threatening tone of the letter," wrote karaokequeen3. One consumer goods expert said that the firm risked damaging its brand during the crucial Christmas shopping season. "Whether or not a customer has the legal right to keep goods, or indeed must return them, they will feel that the responsibility for the inconvenience caused sits squarely with the business who wrongly delivered them," Aidan Bocci, chief executive of the Commercial Advantage consultancy, told the BBC. "That business must tread very carefully. "A heavy handed approach to ensure mistakenly delivered goods are returned will at best bring out a Machiavellian streak in a small group of people and at worst damage the reputation of the business to loyal honest customers - its core source of profit - who are now being told by the business that 'we don't trust you'".